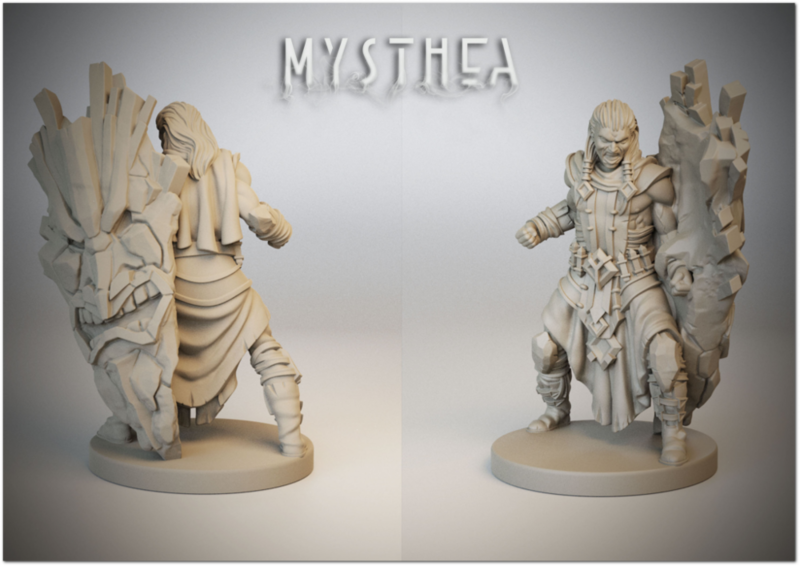 Anuth is the second Champion of Mysthea. He is fierce and fearless. Would you choose him as your greatest hope to explore the islands? We're loving the detail of Anuth's Qoam sheild! He owns a shield made of Qoam that was gifted to him by his mentor when he was recruited into the army. He’s refused to use any other shield and since its frequency resonates perfectly with him, he’s developed a peculiar fighting style utilizing it to bash and charge his foes. To him, the weapon feels almost weightless, granting a completely unexpected agility. Soon, we will reveal the identity of the third Champion of Mysthea. Here is a hint - she is relentless and impassioned. She’s willing to sacrifice everything to get what she wants!